I just found this postcard for sale on Ebay. 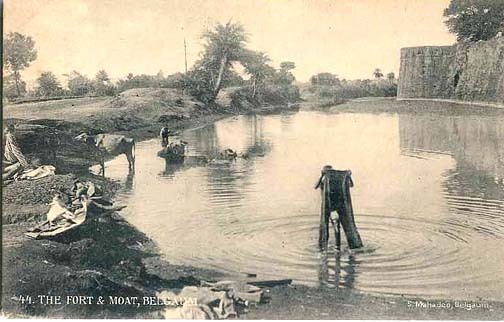 It is a vintage postcard with a view of the Belgaum fort, moat, people and animals. Publisher marks: S. Mahadeo, Belgaum, and no. 44. 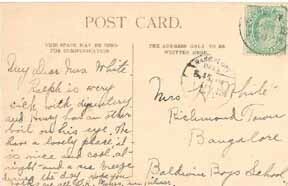 Addressed to: Mrs. H. White of the Bangalore Boys School from: Mrs. Hilmer are also clearly visible.